Uruguay's National Cannabis Federation has launched special training courses on cultivation of the popular plant, local media reported. Some aficionados get involved for fun, while others enroll for purely medical reasons. Fifty enthusiasts are currently studying the subject from A-Z, starting with the question of germination of cannabis seeds and ending with the difficulties of collecting and drying the flowers, their subsequent use, fertilization, and fighting pests that threaten crops. "It's about learning to care for the plant, but also about the user's own use," said Efe Antonella, who has grown cannabis for three years and is responsible for one of the workshops, El Pais newspaper reported. Doctors say plant extracts can successfully treat psoriasis and other skin-related problems. It's believed that cannabis also helps those suffering from insomnia and lack of appetite. "The main advantage of self-cultivation is that the consumer knows exactly what [he or she] is smoking, is aware of the process and know what products has taken him to the ground," Antonella said. 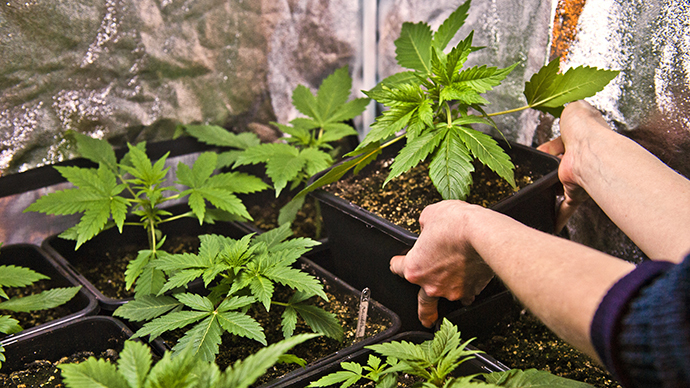 First and foremost, fans will be given carte blanche to grow cannabis. The law forbids having more than six hives per person, however, in which case the annual harvest could modestly total about 480 grams. Besides, marijuana is also available at the pharmacy. There will be a cap on the amount that can be bought every month, initially set at 40 grams. Residents aged over 18 will have to register in a special nationwide database that keeps track of how much marijuana was purchased in the past month. The law will forbid foreigners to buy it, and in an attempt to undercut the illegal market price of $1.40, the market price for the drug will be set at a dollar a gram. President Jose Mujica – who has actually proposed the bill – has championed the legislation as a way to rid of the illegal drugs trade in Uruguay, noting that both Washington and Colorado had legalized marijuana. He signed the bill into law on December 25. 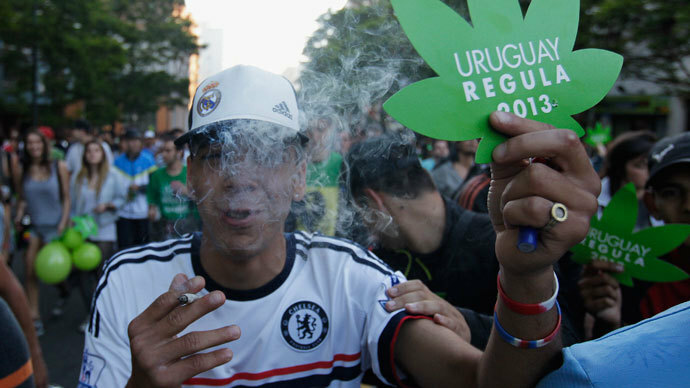 The Uruguayan government has until April 9 to finalize the regulations that will govern the sale and cultivation of marijuana. International community lashed out at Mujica for the controversia legislation. The UN’s International Narcotics Control Board described the move as “surprising”, with INCB chief Raymond Yans saying that Uruguay "knowingly decided to break the universally agreed and internationally endorsed treaty". Mr. Yans argued in a statement that claims that the law would help reduce crime were based on "rather precarious and unsubstantiated assumptions".